We are brought together by our common belief in the Jal philosophy of breaking limits through a caring and conscientious approach. We always have your best interests at heart and are always ready to help. Influenced by my teachers, peers, environment and my travels, I aim to bring a unique sense of empowerment to each of my classes. Through intention, meditation, pranayama, and asana, my goal is to have my students leave each class feeling refreshed and renewed. I teach in a way that provokes through careful planning and energy reading. My classes are always challenging physically and mentally, delivered in English with uplifts music, include minimal demonstrations and maximum hands on assistance. I aim to live a yogic lifestyle and lead my classes in a way that reflects that choice. "My teaching comes from careful planning that I adapt according to the energy of the class. My classes are always challenging physically and mentally and students leave each class feeling refreshed and renewed." "Embracing the depth, richness, and power of yoga, I share my love and knowledge of Anusara to show my students how to get more out of life." My sequences are prepared in advance, with a clear purpose in mind, and I wrote them down in my dedicated notebook to keep track of all of them and add my debrief after the class - so you will always see me carrying this special notebook in the classroom ! My classes -delivered in English- can be structured around an intention, a thought, a meditation, a mantra or something I want my practitioners to focus on (breathe, heart, strength, ...) throughout the class to experience the postures differently. Verbal clues, adjustments and demonstrations punctuate the sequence, and I always propose variations to address all levels of practitioners. 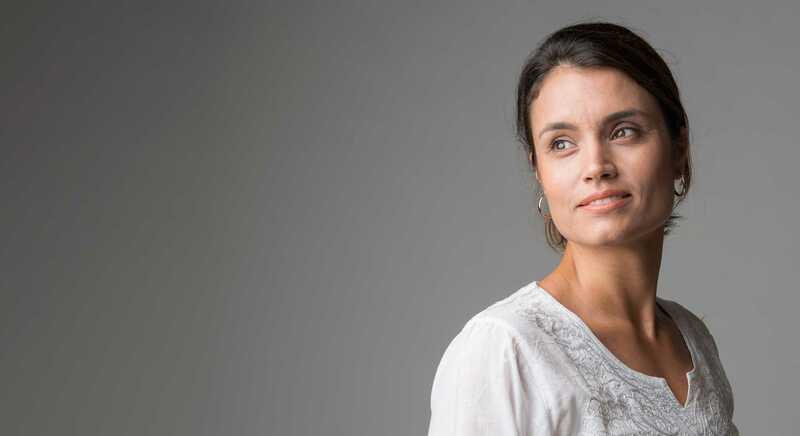 Through the soft flow of my class I want my practitioners to feel confident in their abilities during the class, and relaxed and peaceful when leaving the room. "Certified as a hypnotherapist, I use my knowledge of hypnotherapy to help students achieve a deeper state of relaxation and calmness." Regular practice in my class, practioners will find that your personality will slowly get softer and keeps you away from negative emotions like anger, ego, and arrogance. You will feel joyous and blissful through Bhakti Yoga. It takes away worry, anxiety, and fear and keeps you calm. "Personally experiencing tremendous physical and mental changes from yoga ignited a passion in me to bring the same joy to others." Yoga is a journey of self-discovery that unites your body and soul through the use of meditation, breath control and movement. My mission is to be your guide in this art of self-discovery. Always remaining true to the source, my classes are designed to be a flowing sequence with extra emphasis on alignment, using props when necessary. 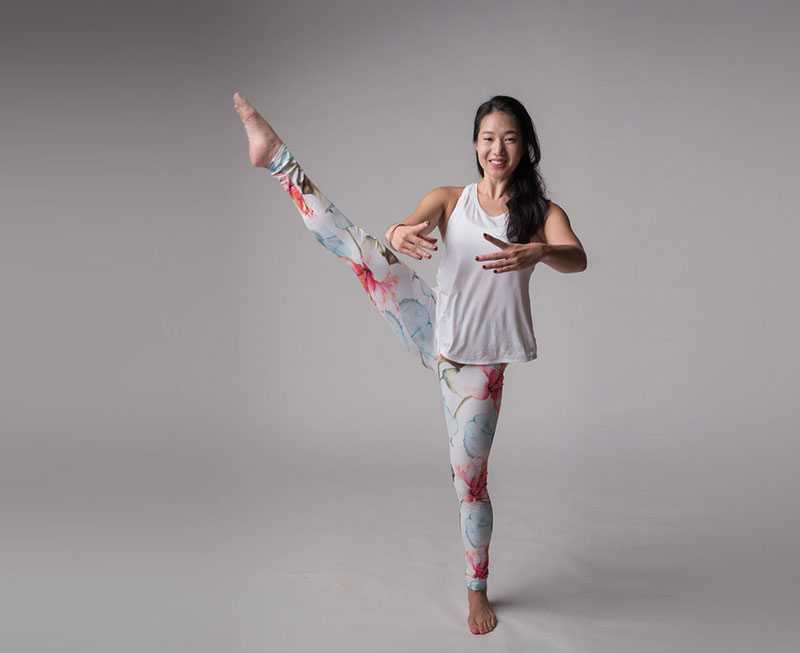 During the practice, you will stretch and strengthen your joints and different muscle groups while connecting with your body and mind. You will leave the class energized, rejuvenated, relaxed and most importantly happy. 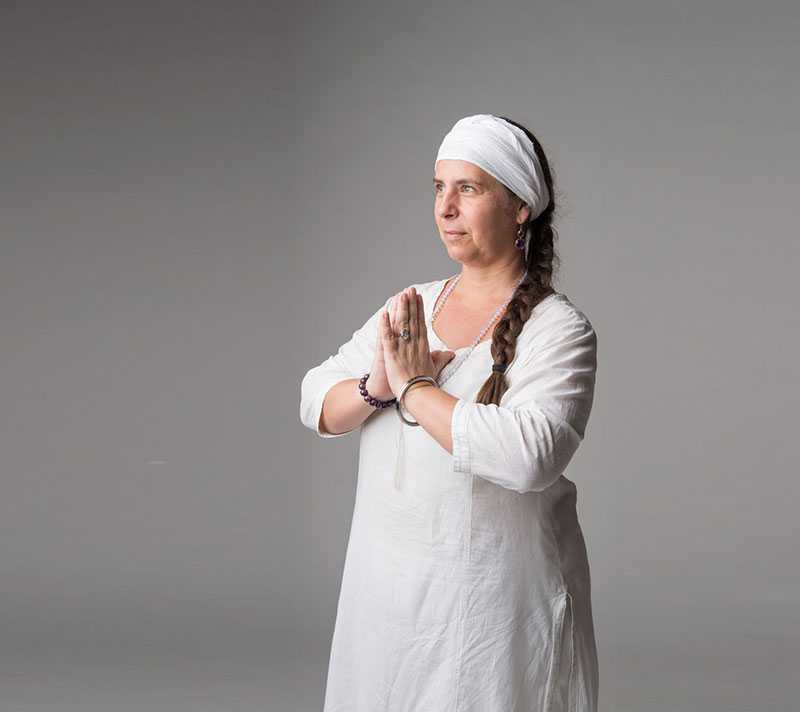 "Trained in Chinese acupressure, Ayurvedic massage and certified in Kundalini Yoga, I bring many years of experience and training to my students." 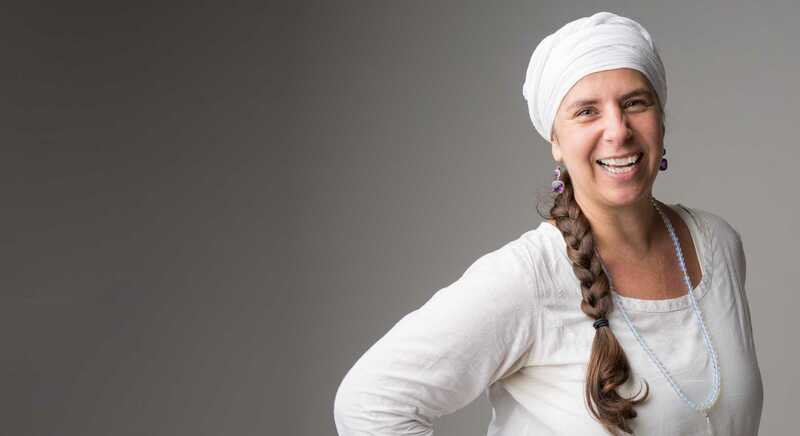 I’m a trained yoga teacher in Kundalini Yoga (Level 1, from Yogi Bhajan school since 2004), Yin Yoga, and Laughing Yoga. In addition, I’m also trained in Chinese acupressure and Ayurvedic massage. To get the full benefit of your class, active participation is not enough; otherwise it is just like gym. The key is the alert presence filled with devotion that you will bring in. This intention needs to be “plugged in” and that is why we begin classes with a mantra calling upon our individual highest self to bring us to a higher level of consciousness; you will learn to tune in with yourself, clear your emotional garbage and connect to the infinite consciousness through the group consciousness. 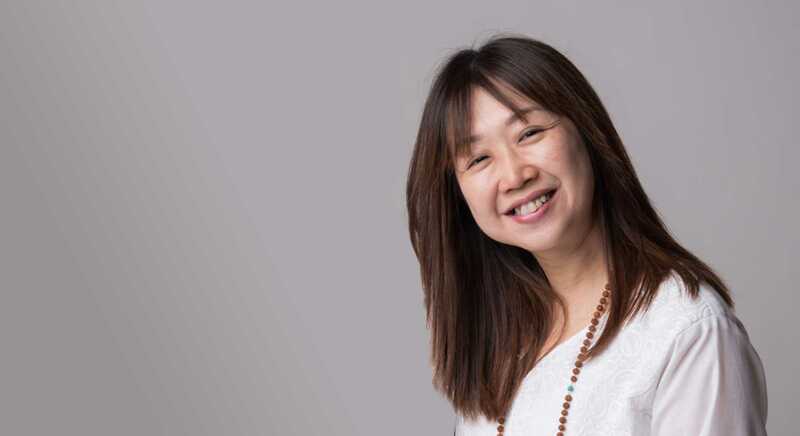 "Having personally seen and experienced the therapeutic effects and positive changes that yoga can bring about, I now share my knowledge to leave my students comfortable, refreshed and with a renewed zest for life." I specialize in Vinyasa Flow, Slow Yoga, Hatha Yoga and Kinetic Yoga. The classes that I conduct are based on practicing breathing and going with flow as well as focus on aligning posture and building strength. During my classes, your mind will be led to focus and increase awareness through breathing and moving of the body. By the end of the class, you will feel refreshed and recharged. "Fully certified in Stotts Pilates I firmly believe that every physical body can be strengthened right through to the core targeted muscles with the correct instruction ." I'm fully certified in Stotts Pilates, and firmly believe that every physical body can be strengthened right through to the core targeted muscles. With good understanding of the participants' needs and physical fitness background, I aim to help my participants achieve their individual fitness goals through my thorough instructions and personalized programme in the realm of Pilates. "Energetic, encouraging and fun, I fully believe in everyone's potential to recharge and revitalize themselves through the graceful energy of momentum found in high energy workouts." Coupling mindful movement with the freedom and spontaneity of play, my classes are inspired by the freedom of dance and games. I hope to bring joy in movement and help people build confidence in their bodies by focusing on mind-body awareness, great posture, and having fun! Incorporating techniques with a solid basis on scientific research and anatomy, my classes help to minimize any strain on the body, helping people move through life with ease, extend their range of mobility, and build their strength within a healthy zone. 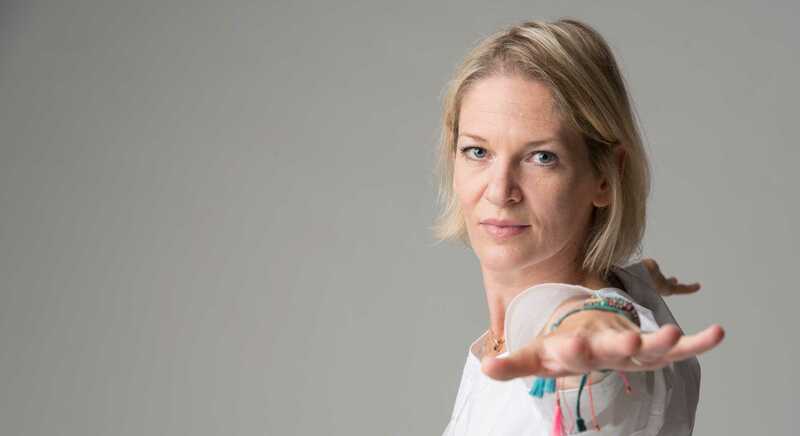 "Born with an adventurous spirit and paired with an understanding of the connection between philosophy, pose expression and body signals, I strive to open the minds of my students to the dynamic effects of yoga." In my class, I encourage everyone to step out of comfort zones and break boundaries together. I love to combine fun and creative sequencing that focus on strength, body alignment and awareness to breath. Ending the class with a short meditation as a reminder to the state of mindfulness. I aspire for you to leave the mat feeling nourished and balanced, with a stronger connection to your body. "Much more than just the physical, yoga is about the mind as much as the body and I teach my students to open thier minds to improve their bodies and their life. I discovered yoga at the age of 24 as a supplementary practice for my boxing and weightlifting training. As my yoga practice progressed, it seems to take over both of those activities. For me, there is an understanding that the yoga practice is more than physical routine. Your mind has to open as much as your body, and everything that you do is an offering to your neighbor. A couple of years later, I soon found myself craving for more knowledge about the practice and made my first trip to Mysore, India in 2007. After making frequent trips to practice with my teacher, R. Sharath Jois, I was given the honour of authorization to teach in accordance to the lineage. Since 2009, I have been teaching and practicing around US, Europe and Asia. I had the honour of practicing under the guidance of respected senior teachers. While I’m off the mat, I study Vedic scriptures and engage in discussions with learned scholars. "... empowering others with knowledge to encourage the development of discipline, compassion and first and foremost good health. " This quote is the basis of my classes, mirroring the practice of empowering others with knowledge to encourage the development of discipline, compassion and first and foremost good health. I try to attend to each and every individual with an emphasis on correction. "There are no limits in our lives. We are the only ones able to create our own space-time. We are all able to go beyond what we believe but we always need a direction and for me it is yoga." Yoga takes all to a single center, our own essence reconstituting our whole body. There is so much chaos in the world today and I think Yoga would be a better way to distribute health around all over. During my life journey I have been practicing different types of yoga. 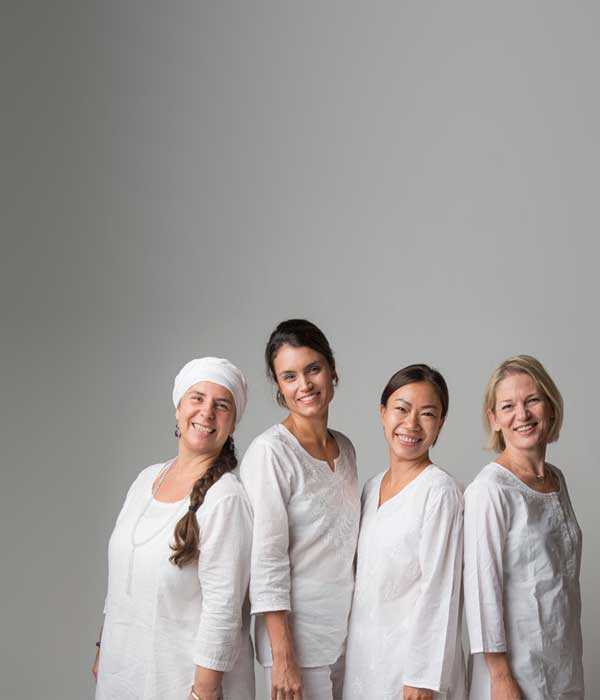 During my time living in different countries I found the opportunity to meet excellent teachers and a wonderful international yoga community that gave me motivation to improve my practice and go deeper in my practice. Being an Orthopedic and Traumatology technician helps me to fully understand the benefits of discipline, and be aware of the ability of our body that in turn leads to completely control our lives. My teaching comes from careful planning that I adapt according to the energy of the class. My classes are always challenging physically and mentally and students leave each class feeling refreshed and renewed. Embracing the depth, richness, and power of yoga, I share my love and knowledge of Anusara to show my students how to get more out of life. Certified as a hypnotherapist, I use my knowledge of hypnotherapy to help students achieve a deeper state of relaxation and calmness. 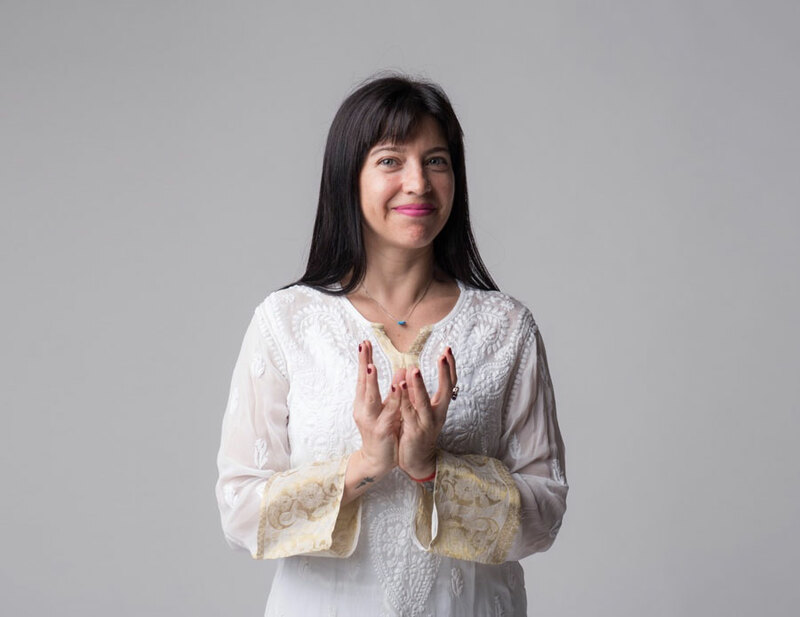 Trained in Chinese acupressure, Ayurvedic massage and certified in Kundalini Yoga, I bring many years of experience and training to my students. Having personally seen and experienced the therapeutic effects and positive changes that yoga can bring about, I now share my knowledge to leave my students comfortable, refreshed and with a renewed zest for life. Fully certified in certified in Stotts Pilates I firmly believe that every physical body can be strengthened right through to the core targeted muscles with the correct instruction. Energetic, encouraging and fun, I fully believe in everyone's potential to recharge and revitalize themselves through the graceful energy of momentum found in high energy workouts. 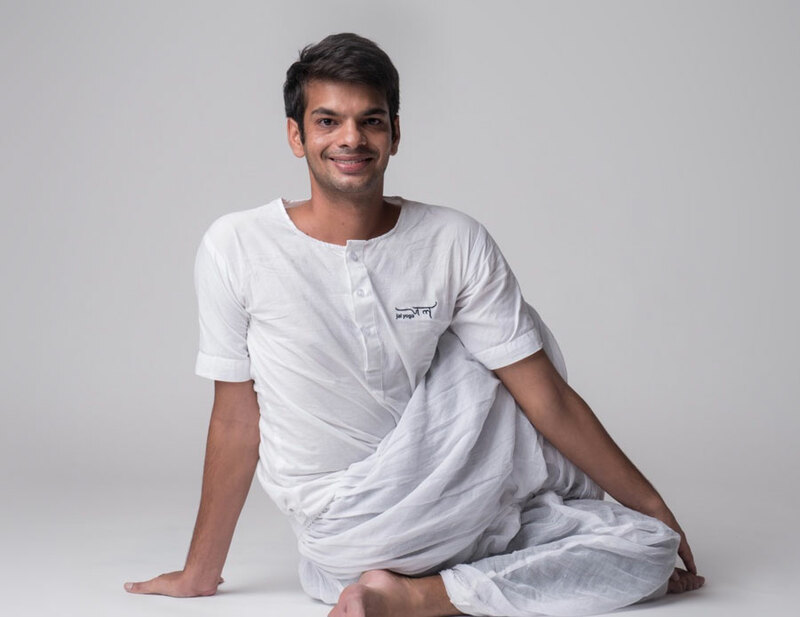 Born of an adventurous spirit and paired with an understanding of the connection between philosophy, pose expression and body signals, I strive to open the minds of my students to the dynamic effects of yoga. Much more than just the physical, yoga is about the mind as much as the body and I teach my students to open thier minds to improve their bodies and their life. Yoga takes all to a single center, our own essence reconstituting our whole body. Being an Orthopedic and Traumatology technician helps me to fully understand the benefits of discipline, and be aware of the ability of our body that in turn leads to completely control our lives.